HABIT: Old roses vary from big bushes to low groundcovers to large climbing vines. They are better for landscape use than they hybrids because they are prettier plants, more fragrant and much easier to maintain. Hybrids are OK too, especially when grown under the organic program. CULTURE: Use lots of organic material and sulphur in the bed preparation. Use the same water and fertilizer program as for your other plantings. USES: Vines, perennial color, mass, fragrance, nostalgia, etc. NOTES: Some of the easiest roses to grow include the following: Mutabilis, Lamarque, Lady Banks, Climbing Pinkie, Easy Living, Caldwell Pink, The Fairy, Marie Daly, Belinda’s Dream, Katy Road Pink, Knockout, and Ducher. Round #1: organic fertilizer or dry molasses @ 20 lbs. / 1,000 sq. ft., zeolite @ 40 lbs. / 1,000 sq. ft. and whole cornmeal at 10 - 20 lbs. / 1,000 sq. ft. Wait until the first hard freeze, then dig the rose leaving a soil ball at least 12" in diameter and move immediately to a well-prepared bed mixing compost, lava sand, Texas greensand, dry molasses, granite sand and whole ground cornmeal into the native soil. Also apply an alfalfa-based organic fertilizer at about 15 lbs. per 1000 sq ft. QUESTION: Where can I get bare root roses and is now the time to plant them? Also, when do I trim back (the lower branches) of a Japanese black pine? H.T.C., Dallas. 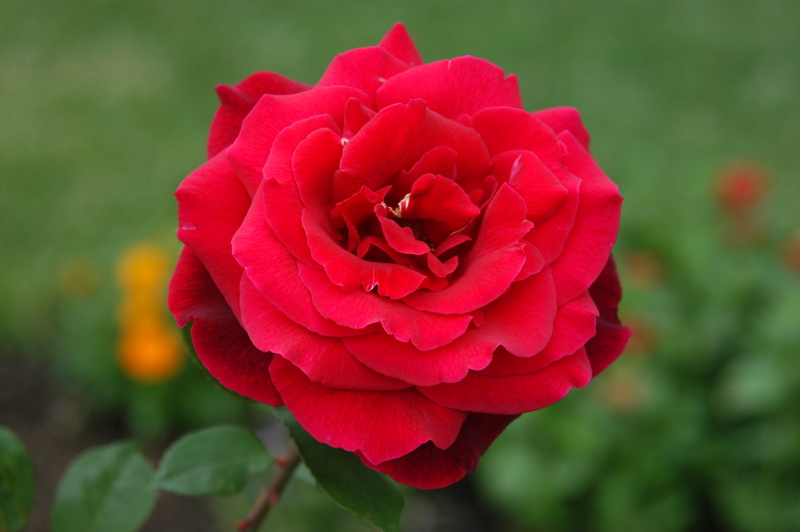 ANSWER: Many of the local nurseries have, or will soon have, bare root roses for sale. However, most would agree that planting container roses is a much better way to go. 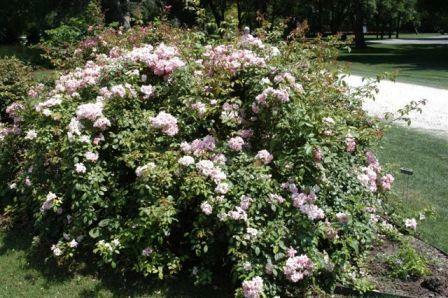 You will also have more success and less frustration by planting antique and other easy to maintain roses. They are available now and should planted as soon as possible. ANSWER: I have already done a little light pruning on my roses. It won't hurt anything; the traditional pruning time is around Valentine's Day. If the mild weather continues, roses soon will be in bloom and we'll miss the opportunity to prune. ‘Caldwell Pink’ – A compact found rose discovered in Caldwell, Texas. This is an ever-blooming variety with double lilac-pink flowers that form dense clusters. The plants have both attractive flowers and foliage. Ht x Wd: 4 x 4 ft.
‘Katy Road Pink’ – A found rose with pink semi-double fragrant blooms. The flowers are very large and impressive. Ht x Wd: 6 x 5 ft.
‘Marie Daly’ – A polyantha rose that is a sport of the older variety ‘Marie Pavie’, which was introduced in 1888. The small double blooms are produced in clusters and have a sweet scent. Low incidence of powdery mildew and black spot in early spring. Ht x Wd: 3 x 3 ft.
‘Else Poulson' - A floribunda rose with pink, semi-double blooms. Plants have a low incidence of powdery mildew in early spring. Ht x Wd: 5 x 5 ft.